I wrote this for #golfchat. What do you think? Panic has hit the golfing industry! Over the past 20 years, the decline in participation of golf has sent many gurus into a tizzy! They are panicking to find new innovative ways to draw more first-time players to the course. They believe it is imperative to conceptually change how non-players view golf so they will start coming out in droves. Well, I am here to say that change is good, but some of the suggestions to date are just crazy talk! The golf industry over the past 45 years has ebbed and flowed. The changes in technology, cost and interest for playing golf has not remained constant. Any snapshot in time can be viewed as a positive or a negative thing for golf; it just depends on how we manipulate the numbers. Ultimately, the golfing industry (and it is an industry) believes it needs to grow in all areas every year to ensure the health and vitality of the sport. This view is valid for a business, but I it is unrealistic as a sustainable model for success. There are a multitude of opportunities for first-time and casual players to participate in golf. At golf courses, the traditional options are for people are to play 9 or 18 holes. With so many variables to consider, the estimated time at the links will vary from 1.5 to 6 hours. These numbers may seem daunting and it is the ‘unknowns’ that challenge the psyche of the masses. Most will say they do not want to spend 6 hours on the course; however 1.5 hours is something more akin to what they expect. This is a reasonable concern, but, in reality, not one that is stopping the masses from playing golf. Other golfing opportunities to meet the expectations of most casual golfers include executive courses (which I think most beginners should play anyway), outdoor practice facilities, indoor ranges, and electronic golfing experiences like REALiTEE GOLF. These versions of golf are fantastic for beginners and those not wanting to spend more than an hour or two out of their day using their sticks. The golfing industry has already tried changing its approach over the years and yet, the interest to play seems to be waning. Realistically, the panic to provide alternatives to 18 holes is less about growing the game, but more curbing the trend of golf course closures. By attracting more players to the links, many pundits suggest that they could convert many casual players into regular visitors to their local course. Unfortunately, this mindset is false and is resulting in undue panic within the golfing community. Personally, I prefer having many choices of where and when to play golf, but the economic reality of the golfing industry is only so many courses can thrive in any given area. The growth in the number of golf courses in the 1990s and early 2000s outstripped the number of regular players. The decline in the number of golfers from its peak of 30 million in 2005 to 25 million in had nothing to do with interest, it was all economics. Do any of the golfing experts remember the financial crisis of 2008-2010? You cannot tell me that was not the prime driving factor of the decline in the golf industry over the past 10 years! Therefore, the market is doing what the market does. It forced the golfing industry to shrink some areas (number of courses) and grow in others (practice facilities, indoor ranges, and electronic golfing experiences). 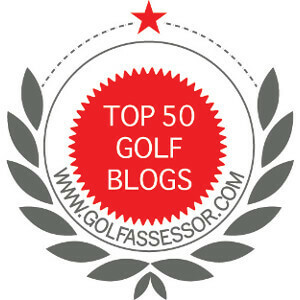 It is time to stop dissecting a small aspect of the golfing industry and look at it as whole. Change is inevitable. Changing the format of play at golf courses, as some experts suggest, is not the answer. A holistic look at the golf industry is required and solutions that suit the new generations of golfers is required. However, if you want a fresh approach to attracting more regulars to golf courses, then help them develop their skills at alternative facilities before they hit the links! I agree. First off if all you have is an hour it would be better spent at the range or an indoor facility anyway. And while we have lost a few courses over the past say 8 years or so here, you wouldn’t really notice. There are over 100 within an hours drive of my house. It’s more difficult choosing one than getting a tee time most of the year. They are all busy for maybe 2 or 3 more weeks but after that, the snowbirds go back north until Nov.. Then we get open courses and much cheaper rates. A golfnow hot deal for a private course I like close by might be 60 today, next month I might get it as cheap as 14. They only offer a couple a day, but I never seem to have trouble from mid March through the end of October. Lots of other private courses open up a little in the summer to let us play too. It’s a nice bonus. I know this area does not represent the rest of the country or world, but here in Tampa Bay, I just can’t see this as a real issue. Thanks for weighing in. And yes there is an ebb and flow to the economics of golf and your area is a good example. The more golfers, the more courses. If I want the same opportunities, I have to move to an area with plenty of courses. If the interest in golf wanes, courses close. This is the same for any industry. Supply and demand rules the day. Jim, I think it’s more of a faux panic. As you state, there’s just a natural ebb and flow. When Tiger receded, so did the participation rates of all those who joined because of interest in him. They wouldn’t have normally participated, so it’s back to normal with their exit. Just wait for the next big wave! Exactly, the ‘Tiger Effect’ is losing steam and economics is doing what it is suppose to do. We shall see what the next big panic is in a couple of years. Absolutely. A cogent and well reasoned argument. I’m with you all the way. Cheers, Rob.